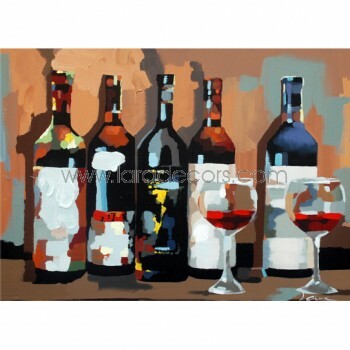 Hand painted using oil/acrylic on canvas. 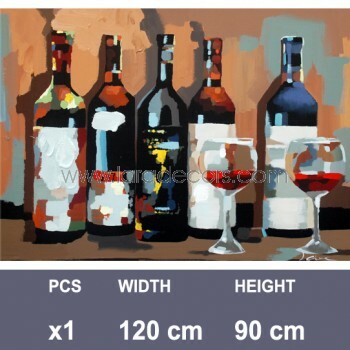 The painting theme portrays: wine, bottles. Prominent colour scheme: brown.